Which is the Best Cord Blood Bank & How to find that? Cord Blood banks are the places where the cord blood stem cells are completely preserved and maintained hygienically in a well equipped manner. Usually, there are two types of cord blood banks which are available in many countries namely the public cord banks and the private banks. Each of these types of banks have their own merits and demerits when it comes to individual rating and performance. They collect the specimens from the newborn infants and after conducting a series of tests, these specimens are usually stored in the blood banks under higher levels of coolness and moistness. In this article, we will see the various characteristics which will help in determining the Best Cord Blood Bank in the world. This is the first and foremost criterion which each and everyone expects from an organization. The companies which offer good quality of service are the ones which will surely earn a good name for itself among the people. In such a way, the private blood banks are very much superior by many aspects than the public cord blood banks. The reason being that for collection of specimens, the public banks recommend the donor family to bring the samples and submit it to them in their location. Whereas the private banks directly go to the patients to collect the specimens and in cases where the specimens are already collected and preserved on a temporary basis, these organizations arrange for a doorstep pickup which eases the process. Hence, the private cord blood banks are always considered to provide the best quality in service. In terms of cost, it can be said public banks provide far more better service when compared to the private cord blood banks since they provide the service at free of cost. They also ensure that there is no money charged for maintenance purposes annually for maintaining the specimens in the observatory. The scenario is completely different in the private banks, since there is cost being levied on the donor family right from the collection of the specimen and until it gets stored in the observatory after a series of tests. These costs usually can be calculated on a minimal basis of $1000 US dollars. The maintenance charges for the specimen is always collected annually on a sum of minimum $100 US dollars. Accessibility here refers to the procurement of the specimen given by the donor family in the future to treat any disease that has occurred in the donor’s immune system. In public cord blood banks, you wont get the confirmation that you will get the same specimen which you donated and may get some matching specimen. It is quite normal in practice. In the private cord banks, the specimen which was given at an earlier stage will be kept preserved and have the facility of getting accessed only by either the donor or the donor family. The success rate in transplantation’s of the cord blood is mostly seen to be higher among the specimens which were preserved by the private cord blood banks when compared to the public banks. The unique reason behind this is the specimen’s which are stored in the private banks are only accessible by the donor or his family ensuring that the specimen can be used only to him, hence showing more success rate in the transplantation’s. In public cord blood banks, the specimens may be given to someone who is needing the same specimen on an emergency basis to save his life. At times, some partially matched specimens are also transplanted to the recipient until he gets a perfect match. The back-up procedures mentioned here refers to the arrangement precautions made to withstand any natural disasters or any other calamities that may occur to the observatory. The private cord blood banks mostly have built in resources to tackle such issues whereas there are still measures to be taken by the public blood banks to ensure the safety. Determining all the above facts and criterion, we can get a list of some top cord blood banks which are available in the world. 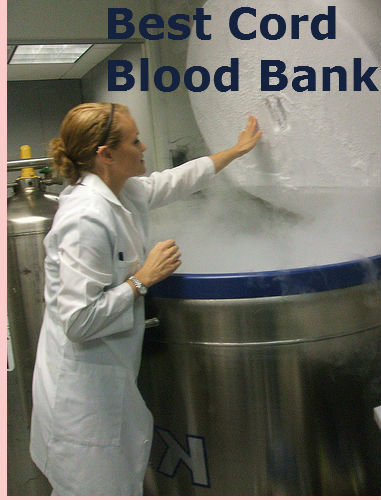 Almost all the best cord blood banks in the world are run by private organizations. The list features most of the cord blood banks from the United States of America. While organizations like Cryo Cell, Via Cord, Life Bank are some of the top cord blood banks in the world, Cord Blood Registry holds the top position in the world for being the best cord blood bank.